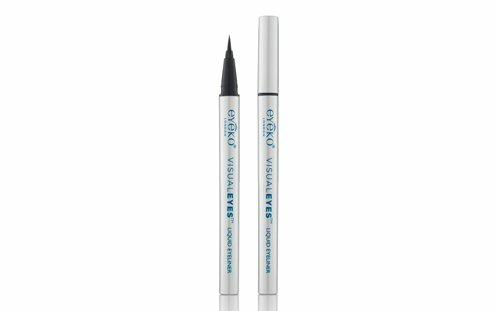 Framing your windows to the soul this party season is both fun and easy with Eyeko Visual Eyes Liquid Eyeliner. Available in deep shades of ebony, mocha and marine, its precision brush tip smoothly glides on with a waterproof finish that lasts long into the night. Experiment with an array of fun looks, from dramatic winged eyes or seductive flicks, to tight-lining for lash-thickening definition, to dotting between the lashes for an invisible liner appearance, just one simple stroke of intense colour from Eyeko Visual Eyes Liquid Eyeliner will have your eyes ready to shine this summer season.